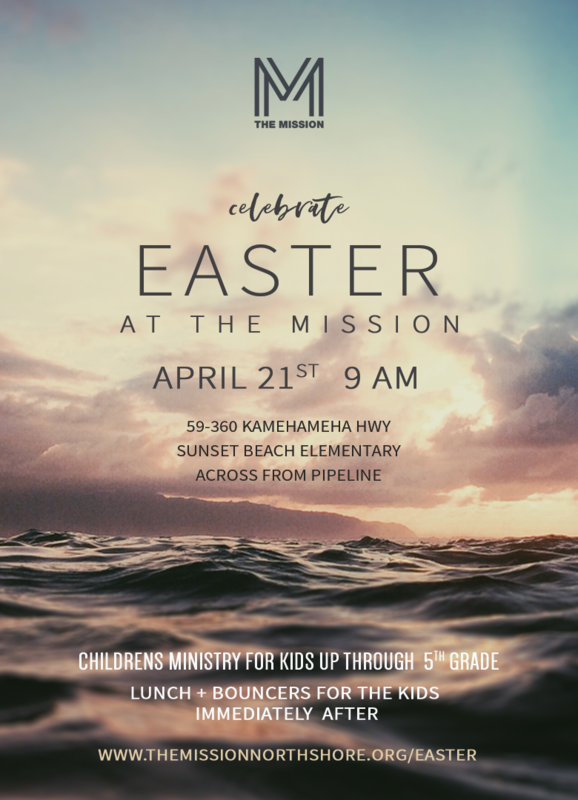 Everyone is welcome to join us as we celebrate Easter. The service will begin at 9 am in the tent in the field. Children's ministry will be available through 5th grade. Children's ministry will be held up at the school. Please join us afterward for a complimentary breakfast and bouncers for the keiki.